For commercial renovation projects, both interior and exterior, AFS General Contracting pays close attention to working with our clients to prevent or minimize downtime for your project. We understand that your company may need to be open to stay in business during renovations; this is the type of situation in which we excel. If the interior of your commercial facility needs renovation or repair, our experienced project managers can provide professional advice and help you work within your budget to give your business the attention it deserves and the remodel and repair it needs. 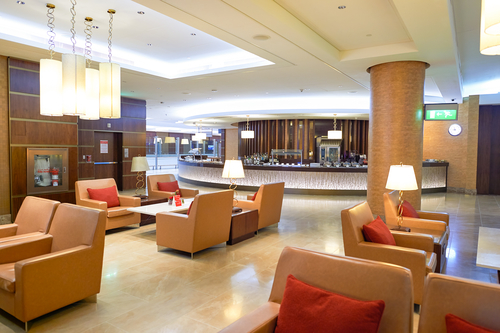 Does the interior of your restaurant, hotel, medical building, retail, or office space need to be updated? No problem. We can help you manage the entire process, and even make sure that your business doesn’t see any downtime. We can give your place of business a new room or a fresh facelift without a lot of hassle. Do you have small repairs but can’t find a commercial contractor that will take on your project? AFS GC can handle all of those small repairs. You’ll find we’re able to professionally manage your project no matter what the size. Plus, we promise to respond quickly to your call. The exterior of your business is the first impression your customers get. If you need building renovations, parking lot renovations, or waterproofing and painting, AFS General Contracting is here to help. We create memorable first impressions by combining our superior renovations experience with our clients’ knowledge of what they need in their environment to succeed. An exterior building renovation can be a dirty, noisy and disruptive project to those who have to work and use a facility that is being renovated. We at AFS GC have developed and refined procedures for reducing the exposure and impact on your normal business operations. Your business renovations will be performed with the utmost professionalism and soon you and your visitors will be enjoying a newly renovated exterior. Having a clean and freshly paved parking lot can help make your customers and clients’ feel safe and welcome. If your parking lot has potholes, cracking, crumbling or sunken areas, AFS GC can visit your facility and give you an estimate on whether you need to have your entire parking lot paved, or if you need pothole repair, an asphalt overlay or just sealcoating. Building owners are in a constant battle to keep water from penetrating their facilities. Water intrusion is a major problem when considering the effect it has on tenant dissatisfaction, damage to interior finishes, and mold development. 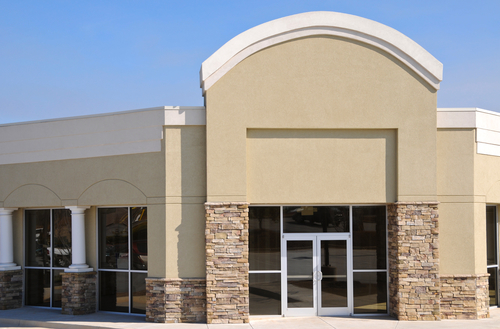 The best defense is to seal, caulk and then paint the exterior of a commercial building. This type of vigilant upkeep helps stop leaking cracks, joints and holes from leading to more damage and a major repair. AFS GC’s experienced painters can help waterproof and the paint your commercial facility for a competitive price.